– Bernard Lagat talking about the one regret he has as he ends his storied track career to take his focus to the roads. 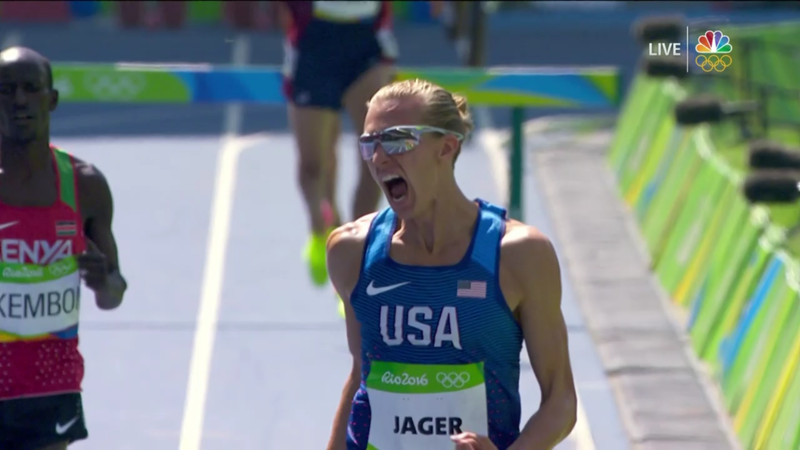 What will you do if Evan Jager breaks the steeple world record? Who Wins? Trump or Hillary - In a Footrace? Texas (and other warm weather) high school cross country coaches - what do you do about the heat? What salary do you need to be considered "wealthy"
Can You Run A Marathon Without Training? LRC Week That Was: How Fast is the 5th Avenue Mile Course?, Free PR Advice for Mo Farah, And a College Coach Helped an NCAA Legend Score Some Booze Plus in case you were gone we had the Diamond League finale in Zurich with the big win by Shannon Rowbury, a game effort by Evan Jager, and a great women’s 200m. LRC “People are People”- The Olympics Remind Us Of All That is Great (and Bad) in the World Two weeks after Rio, LRC’s Weldon Johnson tries to make sense of his Olympic experience. Great Read: Spikes Looks Back At The Storied Career Of Bernard Lagat As The Legend Says Farewell To Track Some interesting insights such as what Lagat considers his “best performance ever”, a quote from David Rudisha about doing 200s with Lagat and Lagat’s one regret being his “pathetically slow” mile PB. WADA Accuse International Biathlon Union Of Violating Code By Giving 2021 World Championships To Russia They could now be declared non-compliant. 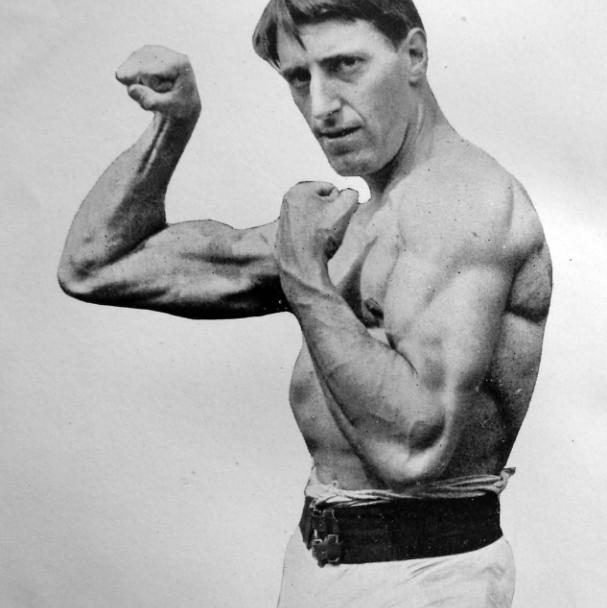 Recommended Read: New British Book Tells The Stories Of Olympians Who Died Fighting In World War I GB hammer thrower Alfred Flaxman was among those who used his athletic skill in war as he could throw bombs over 75 yards. Surprise Audi Sports Car Waiting For Wayde Van Niekerk When He Returns To South Africa It isn’t to keep though as his sponsor, Audi, is loaning it to him for a year with the option of extending. Jamaica Fills “Lion’s Share” Of List Of World Sprint Records For Each Lane *Full List Published By T&F News USA and Jamaica dominate most of the slots. NZ Herald Writer Thinks 19-Year-Old Olympic Pole Vault Bronze Medalist Eliza McCartney Is The Most Marketable New Zealand Athlete Her agent says she has at least 30 commercial sponsorship opportunities. 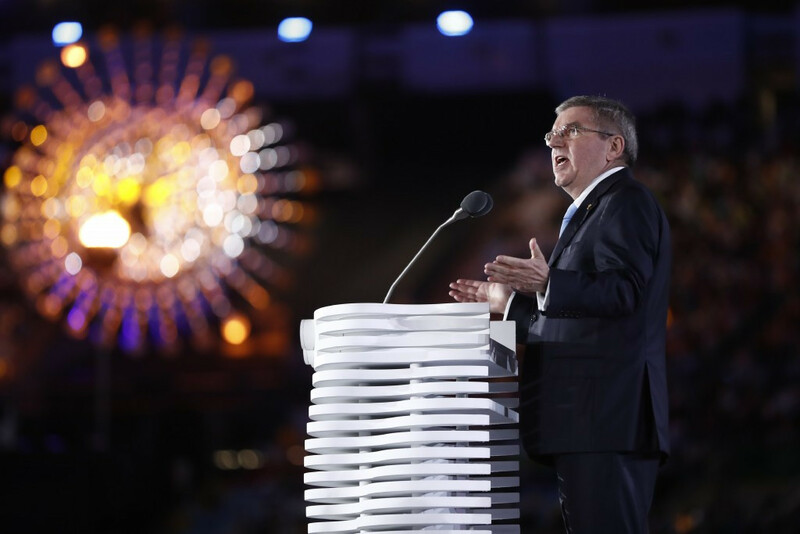 IOC President Will Miss Opening Ceremony Of Paralympic Games For First Time In 32-Years Thomas Bach will instead go to the mourning ceremony for the former West Germany President, but some see this as a sign of tension between the IOC and IPC over the Russian ban. Paralyzed Woman To Compete Great North Run Half-Marathon In A “Bionic Suit” Claire Lomas plans to complete the half by doing 3-miles a day. He’s Not Hanging ‘Em Up Anytime Soon: Nick Willis Plans To Continue On Through Tokyo 2020 Olympics After becoming the oldest ever medalist in the Olympic 1500, he’ll likely focus on the 5000 in 2020 when he’ll be 37. MileSplit: Will The Nation’s Best XC Prep Not Race Foot Locker This Year? Casey Clinger is the favorite heading into this year, but his Foot Locker regional meet is the same weekend as his team hopes to compete at NXN. Spanish Paralympians Have $400 Stolen From Room At Rio Athlete’s Village The thieves posed as cleaning staff to sneak into the rooms. IPC Expecting Rio 2016 Paralympic Tickets To Sell Out As Sales Reach 1.5 Million That’s a big swing after they had only sold 12% last month, although another source said they are hoping to sell 2 million of the 2.5 million available. World Junior Champ Rodgers Kwemoi And Olympic 4th Placer Alice Aprot Win The Tilburg 10 Mile/10K Kwemoi won the 10 mile in 46:04 as former World marathon champ Abel Kirui was 5th and Aprot ran 31:34. Recommended Read: Olympic 400H Champ Dalilah Muhammad Is A True Symbol Of Progress For Muslim Women While Muslim women competing in sports while fully covered were celebrated as progress, Muhammad is a practicing Muslim who competed uncovered and got little attention for it. Good Read: Ashton Eaton Ponders Life After Retirement From Track And Field Eaton has been very reflective about his last Olympics, but doesn’t yet know what he wants to do after track. He hasn’t committed to doing 2017 Worlds and apparently Brianne Theisen-Eaton will also soon retire. Ivana Spanovic Says Winning The Diamond League Trophy Means More To Her Than Her Olympic Bronze While she’s proud of her bronze, she was disappointed to not win silver or gold in Rio. We imagine the $40,000 prize for the DL is a factor as well. Sydney McLaughlin Reflects On Rio In a 3-part video interview McLaughlin talks about the possibility of going pro, competing at the Olympics and how things have changed since returning to the US. Never Too Old To Chase The Dream: 34-Year-Old Singapore 10-Minute Steepler Quits His Job As A PE Teacher To Train Muhammad Shah Feroz has already taken 17 seconds off his PB to run 9:42 and wants to break the 9:11 national record. Extensive Q&A With Aussie Steepler Genevieve LaCaze LaCaze talks about her training, doing the steeple/5K double in Rio and how she dropped her steeple PB from 9:33 to 9:14 this year to set an Oceania record. LRC What You Missed Not Being There: Mo Farah Doesn’t Like Answering Questions About Jama Aden And SAFP Doesn’t Like Taking Questions About Usain Bolt Some insight from the Rio press conferences. LRC Man Versus Machine Grudge Match: 1:43 800 Runner Nicholas Kipkoech Will Race a Solar-Powered Car Over 600 Meters in Brussels on Friday When a solar powered car with a top speed of 68 mph races a Kenyan 800 stud, who had the edge? We’ll find out on Friday. LRC Meet Preview: World Record Attempts in the Men’s Steeple & Women’s 5K, Evan Jager Goes for Sub-8:00, Rowbury Goes For The 5k AR, A Stacked Men’s 1500 & Caster Semenya in the 400 Conseslus Kipruto and Almaz Ayana will go for the world records. Can Shannon Rowbury follow up her Zürich win with an AR in the 5,000? Plus Kiprop vs. Makhloufi in the 1500, Clayton Murphy in the 800 and Elaine Thompson vs. Dafne Schippers in the 100. Olympic 400 Champ Shaunae Miller Pulls Out Due To A “Contractual Breakdown” Between Her Managers And Meet Promoters Miller was in contention for the $40,000 overall DL title as she was just 1-point behind Jamaica’s Stephanie Ann McPherson. IAAF Preview: “Brussels Brings The Curtain Down On Memorable Season” There will be high drama in the HJ, as the overall DL title is wide open and there will be exciting duels as points are close in the women’s 100, men’s 800 and men’s 1500 as well. Semenya Set For Diamond League 400m Debut She ran a PB of 50.74 at the SA Champs earlier this summer. 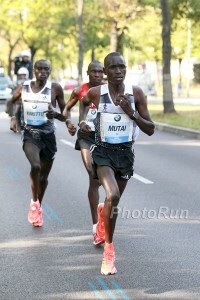 September 25: Great Field Set For The 2016 Berlin Marathon As Wilson Kipsang, Kenenisa Bekele And Emmanuel Mutai Lead The Way The top 8 men have ran 2:06 or faster while the women are lead by Ethiopians Aberu Kebede (2:20:30) and Amane Beriso (2:20:48). October 9: Former Two-Time World Marathon Champion Abel Kirui Still Has High Ambitions As He Lines Up For Next Month’s Chicago Marathon Kirui has struggled with injuries, but is hoping to return to the top and represent Kenya at Worlds next year by running sub-2:05 in Chicago. LRC Bernard Lagat Has Run His Final Track Race – What an Amazing Career it Was A track legend is done with the track (but not the roads). Almaz Ayana’s 10,000m World Record Ranked As The Fifth Best Women’s Track Performance Of All-Time A group of statisticians ranked Flo-Jo‘s very questionable 100m world record #1. Saturday: Daniel Chebii Will Try To Go For A Hat-Trick Against A Loaded Field At The Prague Grand Prix 10K Chebii faces former marathon WR holder Patrick Makau as well as five more sub-one-hour half-marathoners. 65:51 half-marathoner Violah Jepchumba leads the women’s race against former world 10K silver medalist Gladys Cherono. Saturday: After A Year Away From Running, 66:09 Woman Lucy Kabuu Will Make Her Return At The Ndakaini Half Marathon Past drug cheat Matthew Kisorio leads the men’s race. 10K Olympian Leonard Korir And Aliphine Tuliamuk Win USATF 20K Champs Hosted At New Haven Road Race Korir beat out Sam Chelanga by one second as Christo Landry was 3rd. On the women’s side, Tuliamuk had a 16-second victory over Emily Sisson. Kip Keino Files Court Case Against Sports Minister Hassan Wario To Reverse NOCK Disbanding If the decision is not reversed, Kenya will likely be suspended by the IOC for violating autonomy laws which guard against government interference. Africa Way Way Behind In Their Payments To WADA With Less Than 60 Percent Of Its Budgeted Contributions Being Remitted This is the second year in a row that Africa had problems as last year they payed even less. 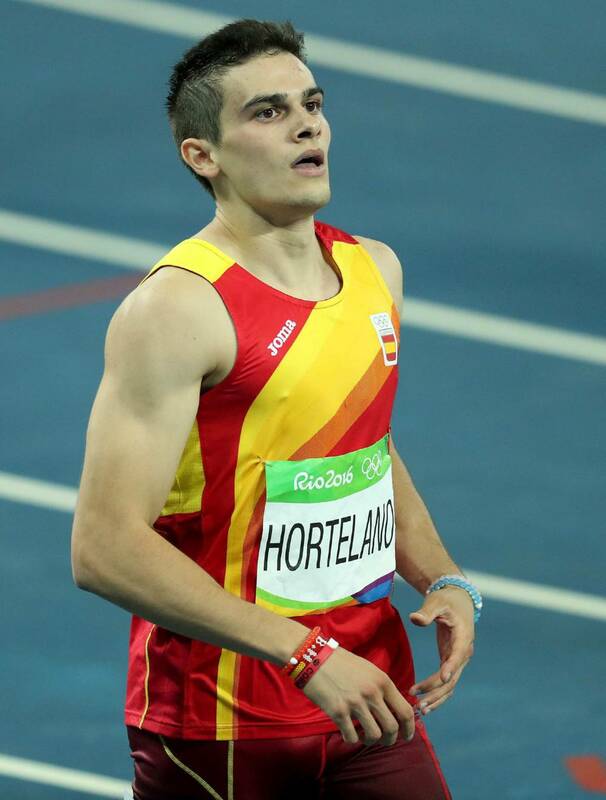 We Wish Him A Speedy Recovery: European 200m Champ And Cornell Alum Bruno Hortelano Hospitalised After Car Crash Near Madrid Hortelano seriously injured his hand to the point he needed surgery and the ambulance crew said there was a risk of amputation. Good Read: Former Aussie Paralympian Pentathlete Don Elgin: “I don’t live a politically correct life. I think society is getting a bit soft.” Elgin doesn’t like when paralympians are called “courageous” as he just wants to be another athlete. Elign also talks about his longtime friendship with Oscar Pistorius and says he believes his story. Podcast Q&A With New Zealand’s 19-Year-Old Olympic Pole Vault Bronze Medalist Eliza McCartney McCartney, a surprise medal in Rio, has received 25 to 30 commercial/endorsement offers since returning home. First Impressions Q&A With Belgium’s Olympic Heptathlon Champ Nafissatou Thiam Thiam upset Jessica Ennis-Hill and Brianne Theisen-Eaton to get the win in Rio. Swimming Federation Blames IOC And CAS For Russian Dopers And Likely Dopers Competing In Rio Members of the swimming anti-doping board resigned in protest to 7 Russians with doping pasts and/or implicated in the McLaren report being allowed to compete in Rio. Russia Awarded 2021 Biathlon World Championships Despite IOC Recommendation Not To Hold Events There Maybe Russia will have their act together 5-years from now. Russian 2012 Olympic Canoe Champ Banned For Doping Alexander Dyachenko was among those implicated in the McLaren report and barred from Rio 2016, although others mentioned were allowed to compete. IOC Threaten To Suspend National Olympic Committee Of Kenya If “Immediate Action” Is Not Taken To Rectify Post-Olympic Conflict Kenyan Sports Minister Hassan Wario disbanded NOCK due to the corruption and mismanagement issues in Rio. Three Members Of Swimming Federation Doping Control Review Board Resign In Protest To The Response To The Russian Doping Scandal The IOC left it to each sport to decide and swimming was so lax that all the Russian swimmers were ultimately allowed to compete. WADA Website Has Been Fighting Off Daily Hacking Attempts From Russia For The Last Three Weeks We guess their IT guys had better luck than Flotrack. Is Trevor Graham Still Coaching Despite A Lifetime Ban? Graham got a lifetime ban after doping Justin Gatlin, Marion Jones and others in the BALCO scandal, but there is a lot of evidence that he, much like agent Mark Block in 2012, is still very much involved in the sport. RRW David Torrence (3:54.99) And Amanda Eccleston (4:26.87) Repeat At 2016 Hoka One One Long Island Miles Ajee Wilson ran 4:33. Belarus Stages Pro-Russia Protest During Paralympics Opening Ceremony By Carrying Russian Flag To be fair, Belarus is a country with a lot of doping bans as well. Q&A With Utah High School 400m Champ Hunter Woodhall Ahead Of The Paralympic Games Back in May, Woodhall ran 47.63 to win the stat championships against able bodied runners. New Brazilian President Booed As He Opens 2016 Rio Paralympic Games Michel Temer was the vice president of the impeached Dilma Rousseff, so he is accused of the same corruption allegations. Paralympics Opening Ceremony In Pictures There were some cool stuff like a wheelchair stuntman and some strange things like a paralympic snowboarder dancing with a robot. Zagreb: Long Jumper Ivana Spanovic (7.03m) And Discus Thrower Sandra Perkovic (67.86m) Were The Highlight Performances Distance victories included Robert Biwott in the 1500 in 3:37 (Robby Andrews was only 12th) and Margaret Kipkemboi in the 3K (8:45) over World XC champ Agnes Tirop. In the sprints, Asafa Powell missed his 98th sub-10, but won in 10.01. 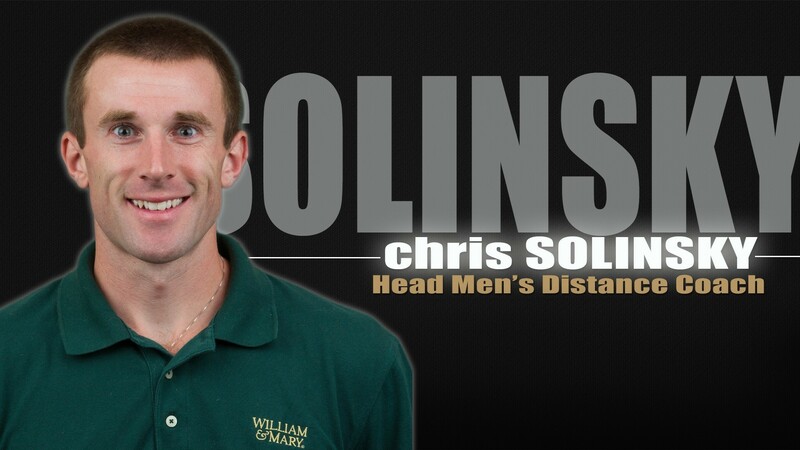 *Olympic Champ Ryan Crouser Wins Deep Shot Put Crouser beat out bronze and silver medalists Tom Walsh and Joe Kovacs. Friday: IAAF Preview: Some Events Will Come Down To The Wire For The Overall Diamond League $40,000 Prize The 100 will be a duel between Dafne Schippers and Elaine Thompson, Asbel Kiprop has a small lead in the 1500, but faces Elijah Manangoi and the men’s HJ is wide open. *MB: Shannon Rowbury entered in Brussels 5000m, will she break the AR? Saturday: 500m And Mile Fields Highlight The Great North City Games David Rudisha will take on GB’s top 400m runners in the 500 and in the mile, Bernard Lagat faces Silas Kiplagat while Laura Muir leads the women’s race. Sunday: Vivian Cheruiyot, Tirunesh Dibaba And Priscah Jeptoo Will Face Off At The Great North Run Half-Marathon There is a good men’s field as well with Mo Farah leading Dathan Ritzenhein, Emmanuel Bett, and Abdi Abdirahman. Update: Bruno Hortelano In Stable Condition After 3-Hour Surgery To Reconstruct His Right Hand Hortelano was a passenger in the car driven by his cousin. His agent says he will need a second surgery on the hand. A Number Of Japanese Olympians Were Back On The Track At The National University Champs 4×100 silver medalist team member Yoshihide Kiryu ran 10 races over 3 days, winning 3 of 4 finals and getting a MR 10.08 in the 100. The Houston Chronicle Takes A Look Back On Carl Lewis The Former Athlete And Updates You On The Current Coach Some interesting facts: Lewis coaches at the University of Houston for free and he reportedly weighs 184-pounds, one pound less than he was at the 1996 Atlanta Olympics. Bahamas Federation Defends Controversial Decision To Not Let Shaunae Miller Do The 400-200 Double In Rio Miller is the Bahamas 200m NR holder and would have likely been a medal threat, but she did not run the 200 at the trials so was only selected for the 400. Faith Kipyegon Returns Home To A Heroine’s Welcome … and to power. IPC Reject Request To Fast Track 34-Russian Appeals Against Paralympic Ban This means none of the appeals will be heard until after the Paralympics are already over. LRC Shannon Rowbury Wins Diamond League 1,500 Finale In Zürich Shannon Rowbury ended her European campaign with a big win in Zurich. LRC 2016 Zürich Full Meet Recap: Evan Jager Goes For It, Caster Semenya And Ruth Jebet Finish Off Historic Seasons, The World’s Best Women Clash At 200 And Massive Marks In The Men’s Shot The first of the two Diamond League finals did not disappoint. Find out what happened here. The Guardian: Diamond League Series Win Comes With $40,000 Payday For GB’s Laura Muir That’s not a bad consolation prize for losing to Shannon Rowbury in the final race. IAAF: Olympic Champ Elaine Thompson Sets Diamond League 200m Record With 21.85 Asafa Powell ran 9.94 to go from 4th to 1st in the rankings and win the overall DL title. IAAF: Shannon Rowbury Gets The Win But Laura Muir Takes The Overall DL Title The top 3 were exactly the same as Rio in the women’s 800 and steeple. Rowbury pushed Muir back just before the line!